A Complete Guide to Steel Building Construction - Rosh Metal Ltd. A Complete Guide to Steel Building Construction - Rosh Metal Ltd.
With an estimated of 2 trillion US dollars wasted in commercial construction development (alone) due to unreliable materials used, companies have been keen on finding ways to look for better material that can withstand harsh natural calamities, extend wear and tear, and prevent property loss. With the motivation to preserve lives, and create a more effective residential housing and commercial buildings, construction companies have turned into using steel in their project designs. Steel is one of the most important and most popular construction materials in the world. The annual world production of steel has figured out at around 1,600 million metric tons (in numbers: 1,600,000,000) of steel in the last seven 7 years. It is used or it is a key element of many industries. It finds its application everywhere from arms industry to toy making industry. In this article, we will pay special attention to why steel is such an important material and how it is used in steel building construction. Challenges in residential and commercial constructions are quite a lot and have enormous consequences. In early 1990’s, the use of stainless steel construction industry has become an integral material for building construction. Usage of various steel products ranges depending on the size of the building, requirement, and design plan. Stainless steel has been recorded and proven to be resistant to corrosion in extreme high and low temperatures. The material also is able to support other construction materials to withstand extreme situations such as natural disaster like fire, earthquake and heavy rains. For that reason, stainless steel has been a reliable material for lesson damages and building tremors. 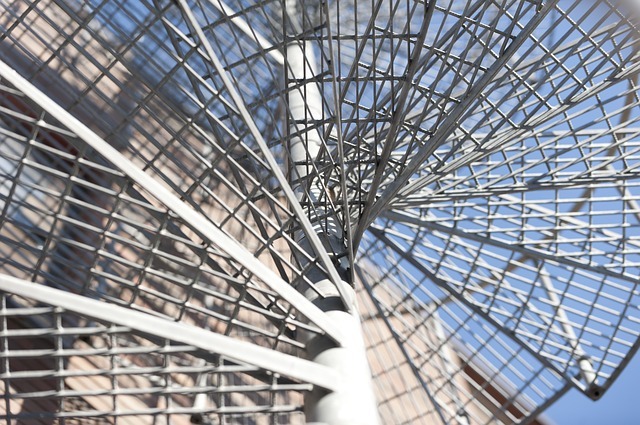 Stainless steel has high durability and flexibility that provides support and enough strength to building structure compared to another regular steel types, cement, and other construction materials. 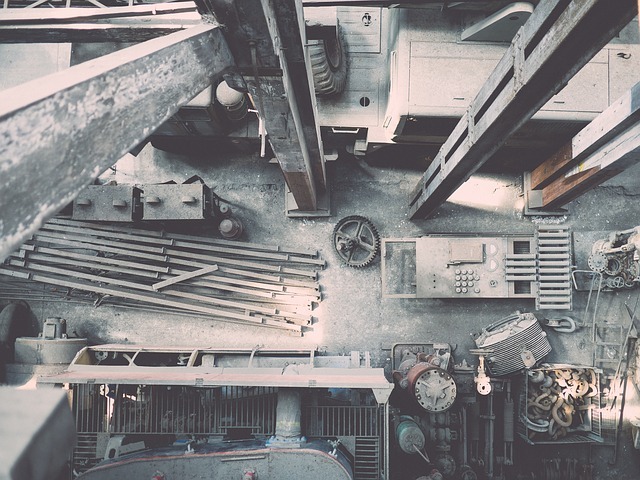 With the great demand for stainless steel, construction companies have collaborated and integrated with steel fabricators and manufacturers to ensure enough supply on all construction projects. Generally, it is a win-win situation, where one entity needed the other one. The use of stainless as major part of building construction cut down costs when compared to using other material. 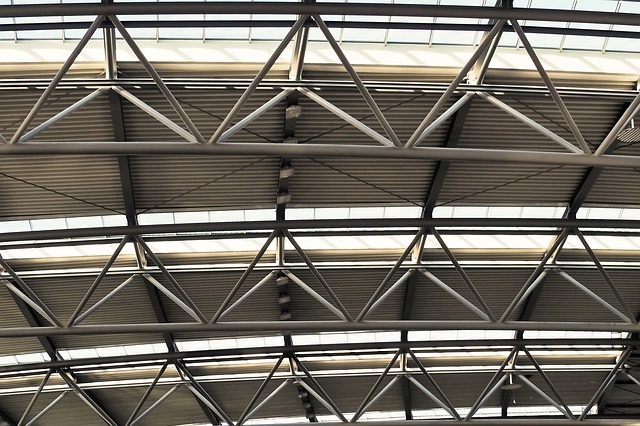 Stainless steel is often used I construction sites as building backbone (major support structure), posts, window frames, lintels, wall starters, wind posts, masonry support, handrails, drainage and water system materials, architectural cladding, roofing, wires, plates, strips, and other fixing functions. Currently, the popularity of modern design residential houses and commercial buildings would tantamount to requiring more usage of stainless steel not only for skeletal structure but also for a physical look. Stainless steel has effectively lowered the costs of construction materials, and also has efficiently made a stronger foundation in the construction of buildings. The storage of stainless products also becomes convenient and easier, thus reducing the cost of storage maintenance expenses. The material can be delivered directly on site of construction. Different kinds of steel are used in construction processes, but the most widely used one is the so-called mild steel. What makes this special type of steel such a good material is its strength-to-weight ratio, flexibility, and ductility. Mild steel is a very strong, yet a not very heavy material. One circular bar of mild steel 25 millimeters thick can endure weights of as much as 20,000 kilograms (or 20 tons). To put matters into perspective, if someone wanted to lift an adult male blue whale from the ground, they could theoretically do so with only 7 bars of mild steel. Now imagine how strong a steel beam of much greater thickness actually is. Mild steel is very flexible too. It is one of the best materials in extreme scenarios such as strong winds, or earthquakes, especially as it does not break but bends under stress. This also increases the safety of people occupying steel structures in extreme cases can actually see the structure bending long before it breaks. In cases of maintenance, steel will also show signs of weakening or failing long before the critical point. Finally, ductility is one of the very agreeable properties of mild steel. This means that steel can be fabricated and reshaped in many different ways without compromising its strength and overall performance. The only weak point of steel is its heat resistance. It loses half of its structural integrity at temperatures of 500 degrees Celsius. However, this can be tackled by coating steel beams in heat-resistant materials. Depending on the sources, there are many different types of properties of steel. In this article, the focus will mainly fall on the following: strength, toughness, ductility, weldability, and durability. The first property on the list is the strength, or, more specifically, yield strength – and their relation to metal constructions. Yield strength is defined as the amount of stress a material can undergo before exhibiting plastic (or irreversible deformation). The amount of stress that would cause plastic deformation is called the yield point. Those who are more familiar with properties of steel might think at this point that steel frequently reaches its yield point since material fatigue is the number one reason for the structural failures of steel framed buildings. In order to say that a material has reached its yield point, it needs to suffer 0.2% plastic deformation, something rarely caused by forces such as weight, wind and corrosion, the main culprits in the case of material fatigue of steel. This is why steel is rightfully synonymous with strength and widely used in high-rise buildings as it provides a very strong structural basis. The next two important properties of steel, which are very closely related, are toughness and ductility. Ductility can be understood as the flexibility of steel for the sake of simplicity. Ductility of a steel component denotes the amount of tensile strain the component can endure before suffering plastic deformation. Toughness is often confused with strength, however, toughness is a separate property in its own right. Toughness is different from the strength in the sense that the damage stemming from the lack of toughness will mostly result in visible fracture, and always result in brittle fracture. What can be a tiny break in the material resulting from the lack of strength to handle the given amount of stress, turns out to be a rapidly expanding crack when the material lacks toughness. Factors that increase the risk of brittle fracture are very cold temperatures, stress that causes the material to elongate, and its thickness. Even if we eliminate the weight factor, the increased thickness can steel result in steel being less able to withstand the stress exerted. This is the reason why it is important to carefully plan and aim for optimal structural steel beams for buildings situated in areas that have very big temperature amplitudes throughout the year. The great variations in temperature on the annual level might increasingly become a factor in building planning in the future as the climate change might lead to colder winters and warmer summers, especially in areas with moderate continental climate. This is especially important for steel as iron is its major component. Iron is known to greatly suffer from increased brittleness at lower temperatures. Weldability of steel is another very important property, but the term can be a bit misleading. The implication of the name and of the context in which it is used can suggest that there are weldable and non-weldable types of steel, which is most definitely not true. 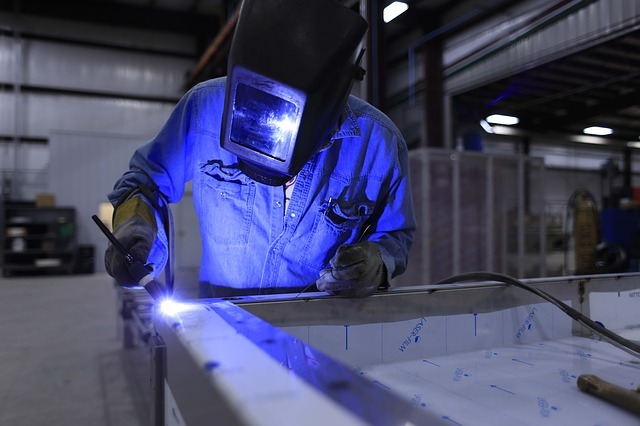 Every type of steel can be welded together, including two different types of steel if the proper filler material and welding methods are applied. There are differences, however, in the welding methods that are used depending on the chemical composition and carbon level in the steel piece. For example, the most widely used type of steel for structural purposes is the low carbon steel containing less than 0.15% of carbon per unit of mass. Low carbon steel, also known as mild steel, is, for example, a material of very high weldability. It requires no pre-heating and nor it demands a high level of protection from outside contamination in order to achieve the good weld. Apart from a very favorable strength-to-weight ratio, the property of good weldability is another reason why mild steel is so widespread in the construction industry as the material allows for great design flexibility for not high a cost or compromised structural integrity. The last, but definitely not the least important property of structural steel is durability. Steel durability can be understood in two, equally legitimate ways. First, structural steel is very durable in the sense that it can support buildings for decades without a significant reduction in capacity if properly maintained. This is the reason why New York skyline is still filled with buildings from the early 20th century such as those that comprise the Rockefeller Centre. Another aspect of looking at steel durability is actually in the recyclability of the material. Steel is relatively easy to recycle and at a recycling rate of around 90% worldwide, it really pays to invest in the effort. As project planners aim for more sustainable buildings in the future, this property is becoming increasingly important and it is one of the main reasons why it is expected that the new-born trend of building wood-framed structures in the US is to inevitably falter. The carbon footprint of steel is shrinking while the sustainability scores for steel framed buildings are rising. Other than the five properties of steel mentioned, there are many more that can determine the designing and erection of structural steel frames for metal constructions. However, depending on the case-by-case basis, these are either too irrelevant for properly assessing the bigger picture, or they are too complex and with too many relevant variables to fit within the scope of the article. Keep checking our blog in the future for more content on the topic. Steel frames are used with temporary structures, residential buildings, warehouse buildings, and high-rise buildings. In the case of temporary structures, usually, prefabricated parts and segments are used that can be assembled on the spot as these are the fastest to put together and the fastest to remove while still providing the user with a stable structure. Residential buildings are a bit of a broad term. It is used as a fancy-pants name for houses as well as for multi-story buildings in residential areas. The building technique involving steel that is used in both cases is called light gauge steel construction. Light gauge stands for thin sheet steel from one to three millimeters thick. This steel is then bent into shape to form C-sections and Z-sections. Steel constructed residential buildings have several important advantages over their concrete or wooden counterparts. Namely, steel buildings are much, much lighter than concrete ones. One square meter of the floor in a concrete and brick-based building can weigh more than 800 kilograms, while steel constructed area of the same surface can weigh as little as 60 kilograms, which is more than 12 times less than the weight of the concrete based one. As far as wood is concerned, there are two main distinctions. Although the Achilles’ heel of steel is fire, this is even more important for wood-framed buildings which are naturally more inflammable and prone to more sudden collapses in case of fire. In comparison to wooden or concrete structure, steel clearly has an advantage, especially in high-rise buildings as well as in warehouse buildings, about which we will talk a bit more in the final segment. Now that we have established what properties make steel such a good material for structures of any type, it is time to see how it looks like to actually construct a steel building on one of the most common examples; single-story industrial building (around 90% are made out of steel components). The first thing that both the contractors and the commissioners of the building will try to figure out (after the location has been chosen and the design is complete) is whether the building good be made of largely prefabricated parts – which reduces the cost and time necessary to complete it – or whether the building must be erected pretty much on the spot. When it comes to designing a single-story industrial building, one of the most used shapes is the so-called portal frame. Portal frame means that the structure has two rows of main columns at each side. To each of these columns, a rafter (supporting beams for the material used to cover buildings irrespective of material) is attached at an angle of some 5° to 10° degrees from the column and two rafters meet in the center where they are attached to one another as well. The main structure of a framed portal (rafters and columns) are made out of H, I or open channel steel beams. 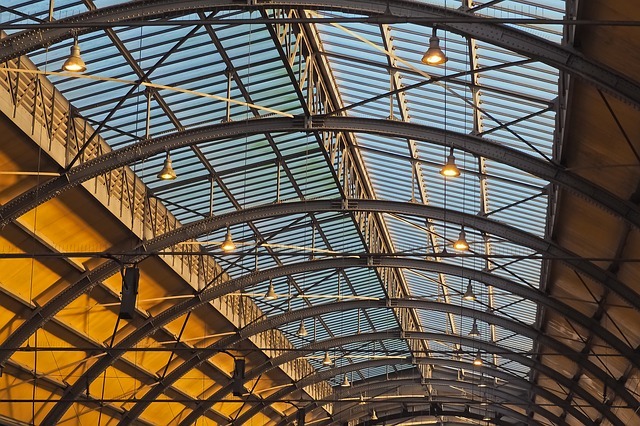 For secondary steelwork (roof, walls, and inter-rails between rafters), light gauge steel is used. The purpose of these is not to serve as protection and insulation on their own, they are used to support the roof of the structure, as well as the envelope and other types of materials used to protect the building from winds, provide weight support for snowy days and add to flexibility in case of an earthquake. From this listing of some basic properties of portal frame buildings, it can be seen that this is a steel building construction so commonplace and generic that even a child would now probably draw such a shape if asked to draw a warehouse. So, what makes these buildings so popular? They can provide the owner or the tenant with a lot of flexibility especially as there is no need for internal columns in a lot of cases. They can be easily expanded or deconstructed, and, rather energy efficient. This last property will mostly depend on the location, but in mild climate areas, owners usually spend around 15% on heating, while the most of it is spent on lighting; whooping 75%. Although covering everything that is related to steel building construction is an immense task and something that cannot be squeezed into one article, we hope that it will give you a much better picture of why steel has been the main construction material for more than a hundred years now and what are the benefits of using it.